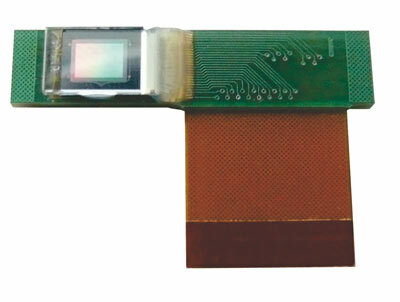 The HEO 1016 kit is used to control an LCOS (Liquid Crystal-on-Silicon) active matrix reflective mode LCD with 640 X 480 pixel resolution and a 0.177” diagonal. The color field sequential microdisplay is fast enough to handle all three primary colors, in order to deliver full color video images (180 Hz, RGB). 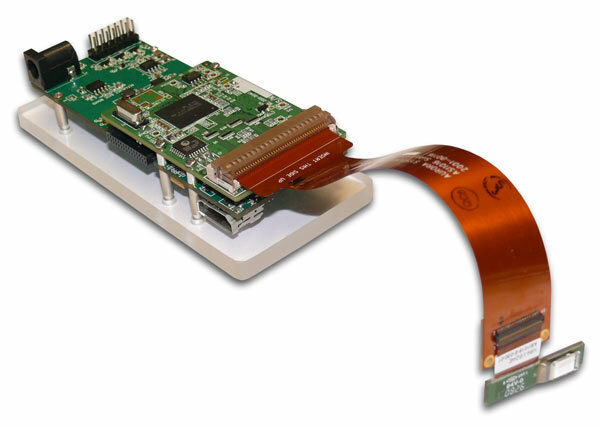 The content is addressed via a standard HDMI (High Definition Multimedia Interface) signal e.g. by a PC’s graphics card. Basically, the LCOS display works like an extended monitor. 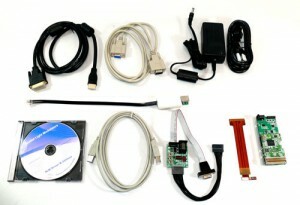 Hence this plug and play kit guaranties a quick start-up and easy usage. 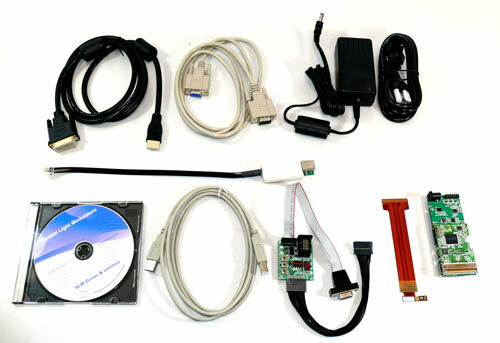 The kit is highly programmable and comes with an I²C adaptor that communicates via an USB port. 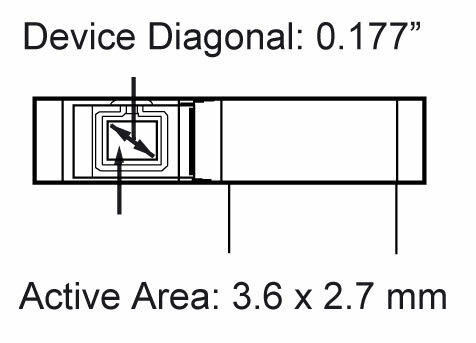 This communication port connects a PC to the driver chip allowing various configurations e.g. 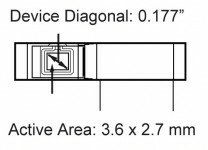 RGBG -mode, dithering modes for reduced bandwidth, gamma correction etc.